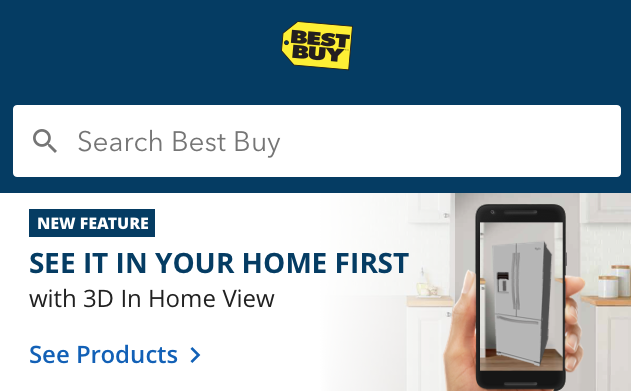 We piloted a feature that allowed customers to view products in their home. It was initially envisioned to function as a tool to help lower appliance returns but the product selection was mostly in mobile and smart home. I worked with the team to keep the language general enough to cover all product scenarios. I sat down regularly with developers to understand the usability of the feature and ran small user tests within our building to see what language resonated with people.